Gscan2pdf, a graphical tool to produce PDFs or DjVus from scanned documents, has reached the 1.8.4 release hours ago. Several bugs has been fixed in the release. Assume pixels/inch if the image doesn’t know better. Fix paragraph formatting in save as text output. In preparation for future removal of libsane-perl frontend, change default frontend libsane-perl -> libimage-sane-perl, and similarly switch selected frontend on upgrade from older version. Assuming no major problems occur, support for libsane-perl will be removed in the next release. Fixed bug writing postscript file. support for ghostscript backend due to apparent bug in tiff2ps. Round scan options with ranges to valid values before applying. Fixed bug updating list of option-dependent values. 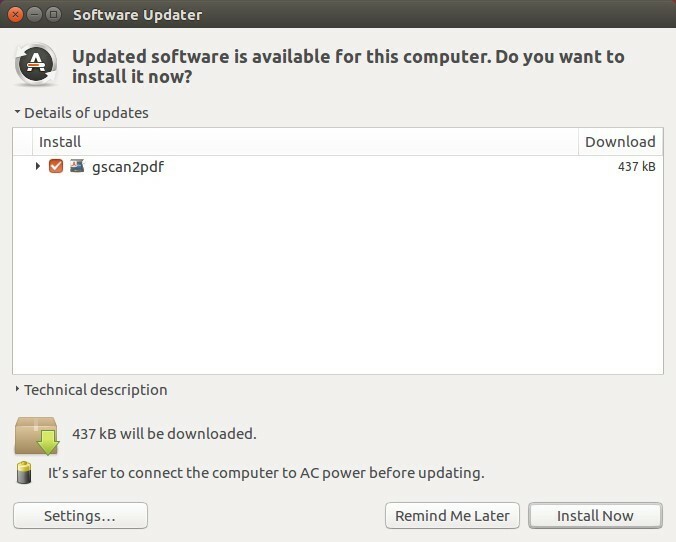 Note that you need MANUALLY download and install the dependency libraries from the parent folder in the link above. Input your password (no visual feedback while typing) when it prompts and hit Enter. 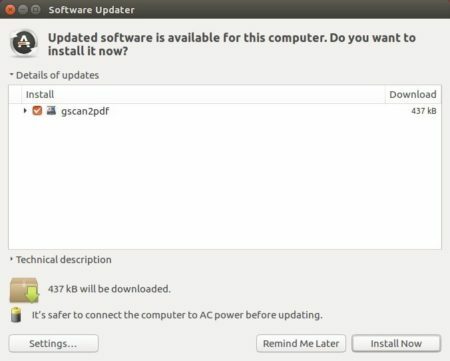 Ubuntu 12.04, Ubuntu 14.04, Ubuntu 16.04, Ubuntu 17.10 are supported so far.